[WTS] Wiki Advertisements. Grow your customer base and advertise to thousands of people! Thread: Wiki Advertisements. Grow your customer base and advertise to thousands of people! Wiki Advertisements. Grow your customer base and advertise to thousands of people! If you are interested in getting an ad spot on the official MPGH wiki, contact me on IM. The Wiki gets thousands of views each month, each one of those thousands could be a potential customer! 1) Advertisement must redirect back to a MPGH domain. 2) Image must be of 260x125px. 1 week is US $7. 1 month is US $20. 1) If you are banned, we reserve the right to remove your ad, and keep all funds. 2) We can deny you as a customer for any reason. 3) Charging back will result in a scam report and/or ban. 4) If you are a merchant, and you have multiple scam reports open, we are allowed to disable your ad placement until all scam reports are resolved. PayPal, Bitcoin, Amazon Giftcard, or really anything that's of value. Could you provide proof of "thousands of views each month" so i know its real before I pay for a advertisement? Last edited by Ahlwong; 11-13-2018 at 10:40 PM. [WTS] [Spawning] Spawning Custom Bases, Vehicles and items for free! 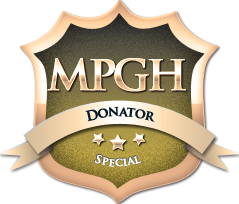 How do you get your hacks to not advertise MPGH?